Come close in to your tasks and don’t bend if you don’t need to. If you can accomplish your task without bending, don’t bend. 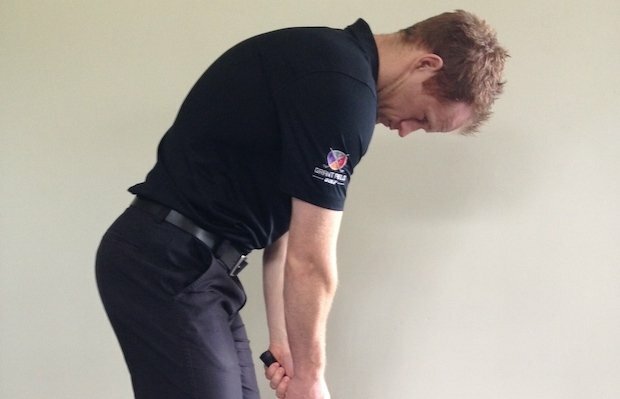 Be sure your legs are externally rotated so there’s room for your pelvis when you bend. If your thigh bones (femurs) are in the way of the pelvis settling between the legs in a forward bend, there’s no healthy workaround for bending. Widening your stance can help some, but a healthy bend needs external leg rotation no matter where your legs are positioned. This Burkina baby has his legs externally rotated, making room for his pelvis and substantial belly! The spine carries precious cargo - like all the nerves and nerve roots that exit between the vertebrae - and these are threatened by major distortions of the spine. In activities other than bending, some movement around a healthy baseline is healthy and desirable. Such movement stimulates circulation and helps maintain healthy spinal tissues. For bending, I recommend strictly maintaining the baseline shape of the spine. Distorting the spine when bending loads the discs and can cause damage. It also sets a risky pattern for bends that involve weight-bearing. I recommend pure hip-hinging for all bends, whether in daily life or exercise. With practice, good form, and strengthened inner corset muscles, you will be able to move into sustained bending and lifting weights. 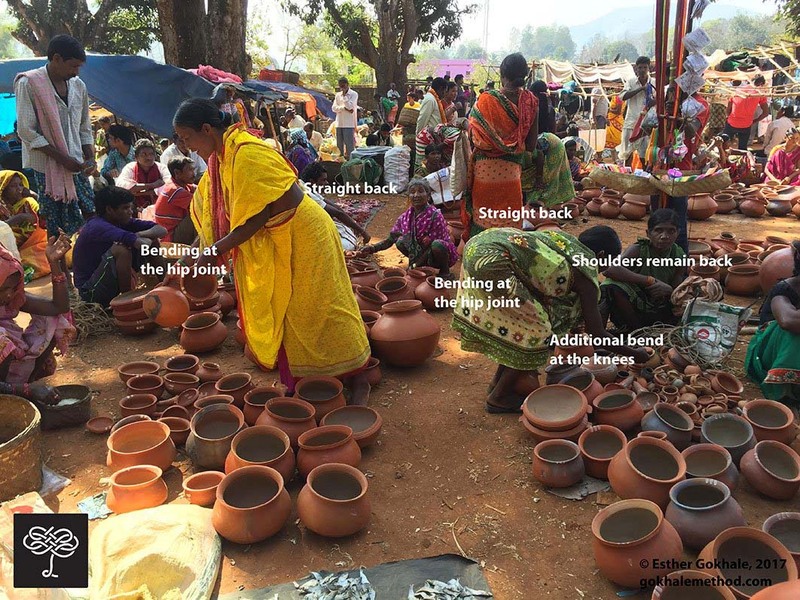 Women in the marketplace in village Orissa demonstrating excellent hip-hinging form. You don’t want to load your discs when bending. This happens when rounding or swaying the back, or from additional muscle engagement while maintaining your baseline spinal shape. Using the inner corset (go here for a free download of Chapter 5 from 8 Steps to a Pain-Free Back) while bending is excellent insurance against loading the discs unwittingly. If you are accustomed to tucking your pelvis, it can be a real challenge to find the correct movement in the hips. Practice bending in front of a mirror, or, better yet, with a Gokhale Method teacher, so you get the feel of healthy hip rotation with a straight back. Start off with small bends - pay attention when you are at the sink or making your bed. Keep your feet and knees pointed out 10-15 degrees, have your knees soft and only bend at the hips as far as you can before you start to round. At that point, enjoy the gentle stretch in your hamstrings and external hip rotators. Bend your knees if you want to go any further. For more complete hip-hinging instructions and images, refer to Chapter 7 of 8 Steps to a Pain Free Back or Back Pain: The Primal Posture Solution (DVD). Don’t Round the Lower Back. 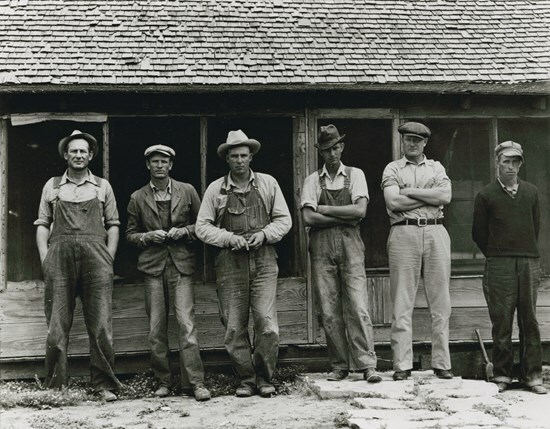 You may know people who bent to tie their shoelaces or perform some other seemingly innocuous task on the ground, and then couldn’t straighten back up. Those people were probably rounding their lower backs, possibly with the additional danger of a twist added in. The brain reacts to the threat / damage by seizing up muscles in the area. Ouch! In my classes I go so far as to say that people who bend well will probably never have a back problem, while people who bend poorly almost certainly will. It's very important to get bending right! Don’t Round the Upper Back. Rounding the upper back is problematic for an entirely different reason. The discs in the upper back don’t generally herniate or get severely damaged. This is partly because the rib attachments to the thoracic vertebrae help fortify that portion of the spine. The problem that results from repeatedly rounding the upper back while bending is that the spinal ligaments gets distended. Ligaments are like band-aids that go from bone to bone and whose function is primarily structural support. They are a backup system for our muscular support. In situations when there is more challenge and distortion than our muscles are strong enough to handle, or when muscles don’t have time to fire, such as in a jolting accident or jump, then the ligaments keep our joints safe. Ligaments are supposed to have some degree of stiffness. Ligaments aren’t an elastic kind of tissue. Once stretched too far, they are permanently distended, and no longer serve their role as the backup system to support the spine. Extreme forward bends that come from the back and not the hips cultivate ligamentous laxity more than muscular flexibility. It is counterproductive and results in losing important structural insurance. This is what we see happening in the backs, hips, and knees of athletes and yogis who push too far in poorly executed forward bends as well as other distortions. When the legs are internally rotated (toes and knees pointed inwards), the head of the femur grinds inappropriately against the hip socket (acetabulum), wearing down the cartilage and causing arthritic change. Lady Gaga bends forward in the yoga pose with toes pointed in and a tucked pelvis. These pictures of Lady Gaga show that a) she has a tendency to internally rotate her legs while standing and b) she bends forward in the yoga pose with toes pointed in and a tucked pelvis. This puts stress on the hip joint, pushes the ball of the femur into the cartilage of the hip socket, and can overstretch the ligaments of her spine, sacroiliac joint, hip, knee, and foot. I suspect that some of the hip problems that get chalked up to extreme range of motion, are actually due to alignment problems. Most yoga classes, Pilates training, and gym routines teach students to stand with parallel feet. By Gokhale Method standards, this constitutes internal leg rotation. 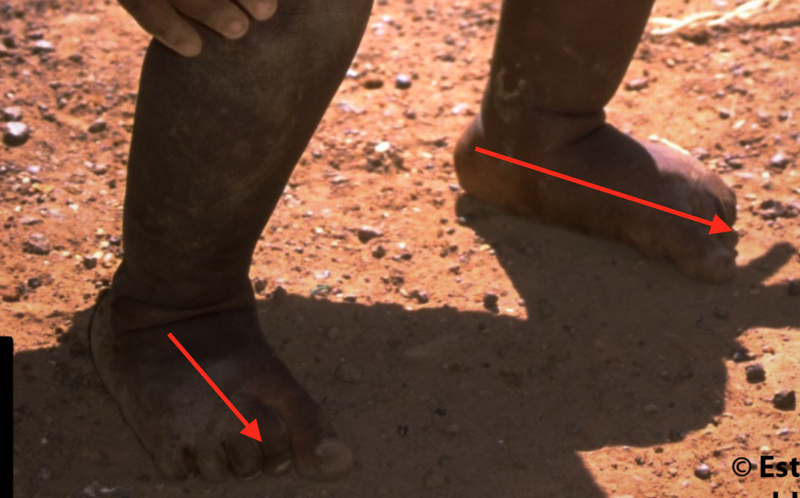 Indigenous people have their feet facing outward in the range of 5-15 degrees, and their legs are correspondingly externally rotated. It is our opinion that instructions to have parallel feet contribute to stress and arthritic changes in the hip joints, especially when combined with forward bends and other hip motions. How well do you stack up when bending in your daily life and when exercising? How far along are you in your hip-hinging journey? Previous Post: You Want Data? We've Got Data. Thank you for this post - I love all your posts. This one was especially helpful for me because I have some arthritis in both hips and am working hard to keep things from getting any worse. So thank you! I have a question about foot turnout (rotation). Katy Bowman - a blogger/writer who erroneously advocates for the feet to face forward - says to line up the foot by the outside rather than the inside. If you do this, the foot looks to be pigeon-toed and she says this is correct (!!!). My question for the Gokhale Method is do we find this 5-15 degree turnout by lining up the feet on the outside (as Katy suggests) or maybe from an imaginary line down the middle of the foot? If I line up as Katy Bowman says and then turnout 15 degrees the foot still looks as if it is pointed straight forward. Sorry this is a kind of stupid question. I'm assuming you will say line up to an imaginary line going right down the middle of the foot but I just want to double check. These small details are important! I was wondering the same thing as mulaambu. Katy says to "unduck" the feet and externally rotate the thighs so knees are straight. This will allow for proper "smear." I think that's about how she puts it. Kelly Starrett adds to squeeze the buttocks to help with external rotation (which I've noticed helps achieve a "J" back shape. In my experience, people sometimes point their feet unnaturally facing out (more than 15 degrees) as an attempt to get the rest of the legs in a decent alignment. So it would be coutnerproductive to guide such a person to bring their feet facing more inwards. They need to learn to externally rotate their thighs first. The gluteus medius is a major contributor to helping the legs externally rotate, but it works best if accompanied by the correct amount of pelvis anteversion (another area of disagreement with Katy and Kelly). Also, we Gokhale Method teachers believe it's important to learn to use this muscle as a natural part of walking. It's great to identify this muscle, as well as warm it up and begin strengthening it by squeezing it while standing, but without learning to use it in walking, it's still going to be a weak muscle and the legs will not align well. Squeezing the gluteus medius muscle can help to antevert the pelvis if it's already in the ballpark of being well-positioned. If a person tucks their pelvis, squeezing this muscle can actually result in further tucking the pelvis. Sounds like you are already sufficiently anteverted that this move works well for you - yay! Thank you for your time, Esther. I've been working on tucking my chin, rolling my shoulders one at a time and my J back for a couple years now and my back pain is non-existent, thanks to you. Engaging my glutes while walking is not natural yet, but I'm always thinking about it! Thank you again! Onward and upward. Keep searching for that glute action - it's in there some place! Your questions are certainly not stupid! And you're correct that the detials are important. Ideally you would like the axis of your foot (line going from your heel through your second toe, maybe the third toe) to face out 5-15 degrees. But it's not enough to talk only about this, because this alone does not ensure that the rest of your leg is well-aligned. That depends on a number of other factors as well, like tone in the gluteus medius, shape of the foot, etc. It's a little complex (and I'll write about this is another post), but I disagree on forward facing knees and feet. I have many thousands of photographs of people in the populations I continue to visit and describe, and they have their feet pointing outwards accompanied by healthy feet, knees, hips, and backs. To me that's the strongest argument for doing this. I don't consider that anyone right now, including orthopedic specialists, neurosurgeons, physiatrists, other physicians, physical therapists, Katy, Kelly, yoga teachers, or alternative med practitioners, has a truly profound understanding of the human spine or skeleton. I believe the best we can do, while progressing our understanding of what is normal and what works best for the human frame, is to emulate people who are very successful in how they use their bodies. Sometimes it's more scientific to be empirical, rather than create guidelines based on partially understood theories. Great question and yes there is so much disagreement between different "experts" and modalities when talking about what is natural, healthy, functional, and good alignment of the feet, knees, pelvis, and every other bone in the body! I think we should be careful when thinking about what is the best/ideal alignment, and not look at any populations as an example of ideal alignment because they all have their unique imbalances caused by their unique lifestyles. Your average American would not be a good example of ideal posture as we all recognize. But neither would be your average Indian, African, or Central American - they all have lifestyles that don't demand full, balanced function from the body as much as we'd like to believe they do. We should take everyone we look at with a grain of salt. All research regarding posture needs to also be looked at with some reservations because the subjects of these studies might be average people but certainly not ideal in posture. Just as heart disease is not ideal, neither is most of the postures we hear are normal or natural. Instead of looking at a certain population as our model for ideal posture, I believe it's a better idea to look at the design of the body and how different joint and bone alignment changes forces (stress, strain, shear, etc.) on the body. We all understand a spinal alignment that increases shear or strain on the intervertebral discs is not as good as a spinal alignment that deceases shear and strain. When looking at the feet, knees, and hips, internal or external rotation of the feet or knees increases stress on joint surfaces of the ankle, knee, and/or hip. If you have a neutral femur but externally rotated feet, your hip joint might be in a good alignment but your knee and ankle will suffer from increased stress/strain. Any combination of internal or external rotation will lead to wear and tear on tissues and eventual pain, injury, and tissue damage. What is neutral alignment in my opinion? Feet: draw a line from the middle of your ankle straight ahead and it should go between your second and third toe. There should be no valgus or varus angles of the forefoot or heel and the ankle should be at a 90-degree angle from the side (foot/floor to tibia/middle of knee joint). Knees: your patella and tibial tuberosity should point straight ahead and your medial and lateral condyles should point directly to the sides. There should be no valgus or varus angles and the middle of your hip, knee, and ankle should align vertically front the front and back and sides. you never miss a shot! I admire your precision, clarity and equilibrium. Every article boosts a little my work-in.progress! Thank you for your enthusiasm! Everyone misses shots, but so far we've kept the ball in play...So happy to hear that you are making progress! Same as above posters. I have taken the Gokhale class and also a Katy Bowman class and own Kelly Starrett's books. What do I do with my feet?!!! Lol! Thank you! And how about an advanced class in Phoenix?? Robyn Penwell, Gokhale Method Teacher here. These questions are awesome, and are by no means addressing minutiae. Esther goes beyond foot placement in her Method and instead teaches foot shape. Honoring the architectural design of the foot allows you to use your feet better (I've learned they are so much more than platforms for standing on!). The action of finding the kidney bean shaped foot not only pivots the foot out slightly, it also lifts the arches and shapes the foot to set up external leg rotation. We want our feet to be arranged well and to be awake and active in standing, bending, and walking. The "awake" part means forming a new partnership with your feet and being mindful about using them actively. A qualified Gokhale Method Teacher will shape your foot for you initially and teach you how to achieve it yourself. I've found that my healthy kidney bean feet seem to help keep me out of trouble in sports by giving me better natural alignment for knees, hips, and ankles when pushing off, jumping, lunging, or taking off in a sprint. I've had significantly fewer musculoskeletal complaints from sports in my 40's than I did in my 30's before Gokhale Method. When I took Esther's class years ago as a student, I was so stuck in a Western fitness mindset (I am also a trainer and yoga teacher) that I thought to myself, "What is this bean foot thing? If I don't totally get the idea, it will be OK. I'm taking this class to learn about my back, right?" Boy was I wrong about kidney beaning. After teaching the Gokhale Method for a while now, I have determined it is one of the most essential techniques we teach! I would suggest swinging back around to a qualified teacher to be guided in this important skill. Robyn's post and mine above will give you something to work with in addition to what's described in the book and DVD. I so much appreciate this resource and these very clear articles, photos and our discussions about them. I'm in my second year of Restorative Exercise certification with Katy Bowman. The overall paradigm of the program -- seeing sedentarism for what it is and also focusing on alignment issues and patterns has been greatly beneficial to my work. I'm a Rolfer and dance teacher, plus all-around movement support coach. However, there are aspects to KB's work that I can't understand. Halfway into my first year of RE I encountered the Gokhale Method. This approach is so sensible and grounded in reality, and so immediately applicable to daily life, that it supplanted the more complex and mental steps that I find accompany many of KB's exercises. Not to take away from her amazing contributions! I just find that Esther's work is accessible in a much more direct way. It radically focused and validated some insights from my previous studies and training, while also highlighting to an uncomfortable point the confusions, contradictions and questions I have. The foot-knee angle question is probably the best example of this. It's the biggest and most immediately nagging "problem" in my mind. My instinct is to agree with EG on this: observing natural gait in healthy populations we see the slight outward angle. I agree that there are so many aspects to this, including the rotations and counter-rotations in upper and lower limb, as well as pelvic positioning etc. The forward-tracking kneecap and foot are how we were trained by Ida Rolf's teachers. I've been walking that way for 20 years, without problems, yet I know it is imposed and that I have trained myself to do this. My question for EG and other teachers: you say that the slight external angle of feet and knees "works best if accompanied by the correct amount of pelvis anteversion (another area of disagreement with Katy and Kelly)." Can you clarify what you mean about correct amount of anteversion and how it differs from Katy and Kelly? I don't know anything about Kelly's work but my sense is that Katy also calls for a certain amount of natural (whatever that means :-)) anteversion. EG, are you saying MORE? or DIFFERENT VERTEBRAL PLACE for the curve? or DIFFERENT in relation to leg bone? Thanks for your comment. Glad to hear that you are seeking! I'm going to refer you to my post on Forward Pelvis: the Good, the Bad, and the Ugly so you understadn my position (I wasn't intending to be punny...) My understanding is that both Katy and Kelly refer to a "neutral pelvis" that has less L5-S1 angle and more upper lumbar curve than what I am describing as normal. It's confusing because, as I describe in the post on Forward Pelvis, people use the same terminology to mean a variety of things. Don here, 79 years old and trying to stay mobile and flexible for a few more years! 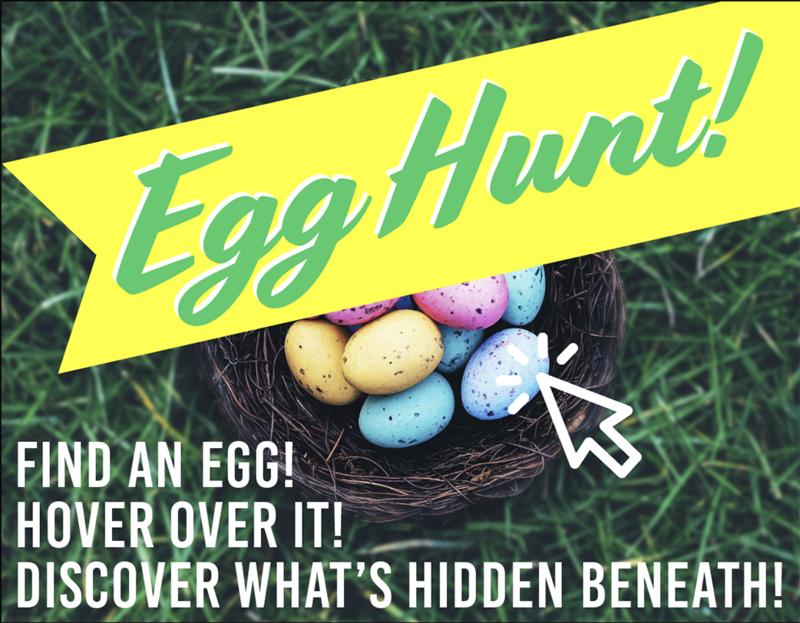 I greatly appreciate all the comments here, especially Esther's explanations and of course the original blog post. I have been a fan of Esther's Method for several years, and I have also been following Katy Bowman's work, which I originally got to for the stretching (long neglected by me and much needed). I also have been struck by the difference in recommended foot orientation between Esther and Katy. In a nutshell, I have tried to stretch with Katy feet and to walk with Esther feet. It seems to me that the "best" outward foot rotation for walking is the amount that leads to the heel striking the ground evenly (not on the inside or outside) and also leads to bearing most of the weight on the large pad behind the big toe when pushing off. More outward rotation leads to a heel strike on the outside. Less outward rotation leads to the heel striking on the inside and to putting too much weight on the outside of the ball of the foot, where (especially at my age) there isn't much cushioning to absorb the load, when pushing off. This seems to me to be about 10 to 15 degrees outward rotation, which is in the range that Esther recommends. In any case, I find Esther's emperical evidence highly convincing. Having been trained and worked in science, I know that experimental results (especially when duplicated repeatedly) always triumph over theoretical results. I was also very interested to read Esther's comments on thigh rotation, its association with a specific muscle and its relationship to pelvic tilt. It's a SYSTEM! I would very much appreciate any comments from Esther or others on the utility of my latest tactic for ageing well: barbell weight lifting. This endeavor came from reading a book - The Barbell Prescription, by Jonathon Sullivan and Andy Baker. I am just getting started, but I find the early results very encouraging. Briefly, the idea is that the classic barbell exercises train the motions of life - picking things up, setting things down, pushing and pulling - by working the entire anatomical chain involved, as opposed to the individual muscles. Dr. Sullivan explains in considerable detail how this develops proper body functions at all levels from cellular on up, especially the multiple mechanisms for producing ATP (the energy source on which all body functions depend), and the role of fast-twitch muscles. I was so convinced that I got right into it. The people in the societies that Esther studies so productively probably "train" these body systems naturally in their daily activities. Those of us who lead relatively sedentary lives need some way to train these systems efficiently. Is "The Barbell Prescription" the answer? I think any full body workout that you like (and is therefore sustainable) is a good idea, especially for people who work at a desk job. Adding weights to the mix is also excellent - it strengthens your bones and muscles and has further benefits. I believe it's relevant that our ancestors carried things a lot more than most of us do. I'm not familiar with "The Barbell Prescription" but it sounds promising. You describe pushing off the ball of the foot - we teach gait in a way that uses the big toe more to push off. Please do show up in our Gokhale Method Fondations course so one of our teachers can show you how. Thank you for the big toe extension, and thank you very much for all of your work - it has been very helpful to me. Among other things, I practice stack lying, stack sitting, the inner corset and J spine. I have studied your book - thank you for that too - I loaned my copy out so much, I don't know where it is any more, and I'll have to get a new one! As I understand it, the keys are for training to be weight bearing and to be progressive - add more weight as you get stronger. I personally didn't like the idea of lifting weights until I read about its effects on reducing metabolic syndrome, building strong bones and, according to recent studies in Australia, enhancing mental functions. Done properly, it encourages good posture, specifically the J spine. So I'm going to give it a go - we'll see how it works out. Thank you for the blog. 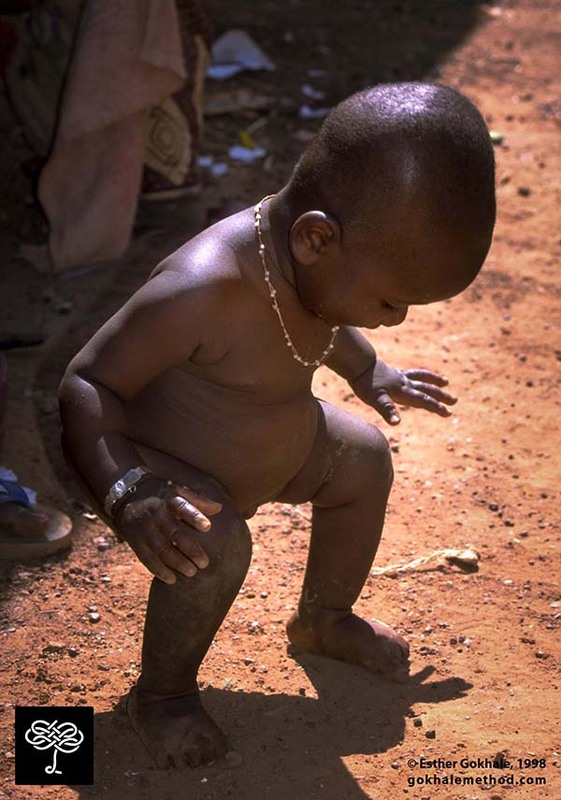 You mention that parallel feet are regarded as an internal leg rotation but in the photograph of the Burkina baby partially squatting, the feet are virtually parallel. Thanks for the monthly support and detailed information! 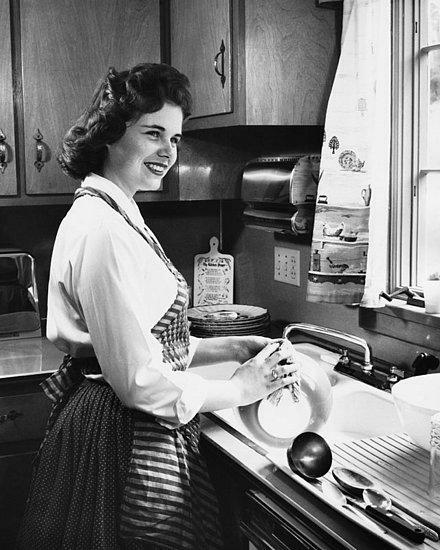 I especially liked seeing the old dishwashing photo illustrating the concept of not bending if you don't need to. For me, doing dishes is the most predictable stress on my lower back, as the faucet doesn't reach very far out and I tend to lean forward over the sink. However, I've found that it is totally possible to maintain posture and still reach the water - as long as I keep getting a reminder. So I set a small copy of the Burkina Faso carpenter from your book on the window sill above the faucet. He has faithfully been inspiring me to get my shoulders and head back out of the sink, effectively telling me, "Hey, you do it like this, remember?" So, while I remain on record for not wanting to do the dishes, it is now a lot less painful. Love it!! That carpenter has inspired so many people... And you are being super smart about using visual cues - and humor! We have a plan (one among many) to create inexpensive but good quality postcards and posters (laminated for some locations like the shower) to serve this function. Sound helpful? I have benefited greatly from the Esmonde Technique (classicalstretch.com) in which muscles are stretched and strengthened while in a lengthened state through movement. At 57 years old, I am finally walking with a lighter, more energetic step because muscles that had atrophied in my spine and elsewhere have been awakened so that they are able to do what they were designed to do. The instructor has us keep our feet and legs externally rotated as you've described, but one huge area of difference is in hip hinging. Whenever working in front of the body, she has us round our spine to supposedly protect it. Are you familiar with this approach? Any thoughts? It is wonderful to be regaining motion in so many joints although I am still struggling with my hips and groin pain. To be honest, I found it very difficult to implement a lot of the instructions in the Gokhale Method until the atrophied muscles came alive again. My posture has improved, I've gained a half inch in height, and my shoulders can more readily be rotated back. I will continue to practice keeping my buttocks behind when sitting as well as hip hinging but would love to hear your thoughts about the exercise program I'm using. BTW I learned about you through the Weston A. Price Foundation, of which I am a chapter leader. I'm always looking for good things to share with our people. I'm not familiar witth the approach you mention (there are so many!) but the effects on you sound great. In general, gentle movement that builds flexibility and strength over time is a good thing. Considering that the lumbar discs are prone to wear and tear, degeneration, and injury, I"m not an advocate of rollling up and down along the spine. That's fine to do in moderation if you have pristine discs (and who does these days?!) If you're like most modern people, it's risky. And the benefits in stretching the spinal muscles are more easily and less riskily gotten from stretchsitting, stretchlying, and the inner corset. I see that you've attended one of our free workshops in Colorado, which is a good beginning. Now that you're out of the woods vis-a-vis muscle atrophy, you would gain a lot from the Gokhale Method Foundations course. Better yet, bring in some members of your like-minded Weston Price tribe to take the course with you. We're discovering that the techniques hold even better when people take the course with family memebrs, colleagues, or friends. It's akin to learning a language; if you have people to speak with in this new language, it's so much easier to become and remain fluent. As a classical Pilates teacher for 19 years and a big fan and student of the Gokhale Method (Foundation Course, Esalen workshop with Esther, and all the newsletters, books, and video), I wanted to respectfully point out that Classical Pilates does indeed incorporate the 5 to15 degree turnout in a majority of the work. Sometimes called the "Pilates Stance" . There are exceptions, I can think of about 5 exercises out of 500 that are in parallel, but for good reason. But unlike yoga, which has so many genres within its name and has been around for 8,000 years, Pilates was one man with a system - less than a century old. My point is, I am not sure the source of information about Pilates being taught in parallel - perhaps it came from a watered down interpretation of his work. I can say that in the classical work, this is not the case. Classical Pilates is profound work, the depths of which has taken me years to understand, and I am still learning. I do cringe at some of the "Pilates" being offered these days because it has become a free for all. Thanks for pointing this out, Paula. Most of the work I have encountered that uses the name "Pilates" includes instructions to keep the feet parallel. It's unfortunate that Pilates went through a period of turmoil which causes confusion. Pelvic position is another area of unclarity among Pilates teachers. It doesn't help Pilates practitioners any, but one good thing that came out of this landmark case is that subsequent schools of movement have been more careful with their trademarks. Glad you like the article. You're right there is a common thread, as I describe in 8 Steps to a Pain-Free Back. For learning these techniques, nothing beats hands-on guidance, as we do in our Initial Consultations, the Gokhale Method Foundations course, and our Continuing Education classes. In the chapter on hip hinging in 8 Steps to a Pain-Free Back there's a picture of the "Arabesk Bird" toy that I often think of as a reminder. In the photos, the bird's legs remain vertical as the bird bends forward at the hips. I notice, though, that I tend to allow my rear end to go back a bit as I bend over so that my legs slant back somewhat instead of remaining vertical. I'm wondering if you'd comment on what's most desirable in this respect. Thank you. This is an intersting one. I don't have a spec for how far back the bum should migrate as you bend, but I'll say that most students send it too far back when they first learn hip-hinging. If you look at the images in my book and blog posts, you'll see that the body mostly hinges forward from the hip without the hips migrating backwards to counterbalance the weight of the upper body (it does some; also, it does so more if the knees bend to partially squat). So the weight shifts away from the heels further forward in the foot during hiphinging. This is another example of where I think it pays to observe what the "professional benders" in the world do rather than try to figure it out on theoretical grounds. It's fun to theorize - and I certainly love doing it - but I don't consider the forefront of knowledge about the human body to be advanced enough that we can theorize our way to how we should do mechanical activities. I believe in first observing a variety of healthy subjects, and then having fun with theories that underlie what has been observed. Thank you so much for your response to my question (and a thank you to all the other posters - I am learning so much!). I have just one other question which I hope is simple, I am assuming that when I bend my knees, my knees should be positioned over my feet. Is this correct? This is how I've been determining if I have enough thigh rotation and I hope this is correct. Although I have read a few other books on body mechanics (out of curiosity) I find that my intuituion and common sense keep bringing me back to your method. Just tuning in to the body as you learn new positioning and seeing what feels right keeps bringing me back to you. I especially love that you said in the above blog that there just isn't room to hip hinge forward with your feet facing forward. So of course I immediately had to try it and sure enough, I can get my fingers a good inch to inch and a half farther to the ground by just doing the foot turnout! Very convincing! Thanks again for everything. I am definitely looking forward to taking a Foundations Course. I see there is a teacher making a trip from Michigan to Ohio every so often so hope to make a pilgrimage to one of these courses one day (I am terribly rural). Yes, knees want to point the same direction as the axis of the foot. It's a little tricky to know where the axis of the foot is if the foot has lost its natural kidney bean shape, but even before you completely understand kidney bean shaping the foot, this guideline will safeguard you from big torques on the knee joint. You mention that you turned your feet out and could reach an inch farther, which you stated was "very convincing". Think about this: many/most people could reach further by rounding their spines, so does that make rounding the spine good/better/normal/functional? We all know the answer: no. My normal stance (before adjustment) was extreme pigeon-toe on my left leg and some pigeon toe on my right. If I correct my stance to have my feet pointing straight ahead and try to hip hinge I cannot get the full range that I do when I put my feet in a 5-15 degree turnout as Esther recommends. Since neither the straight-ahead stance nor the slight turn-out stance were normal for me, it was a good experiment to see if a slight turnout does indeed give more room in the hip area for bending forward. It does and I found this little experiment to be very convincing. Have you looked at your knee alignment? If you've been pigeon toed my guess is your femurs/knees have been internally rotated. If so, turning your feet out is actually turning your femurs/knees into a neutral alignment which is a good thing. But ideally you want to correct the imbalances throughout your body so that your femurs/knees and feet both point straight ahead for best function, performance, and injury prevention. It's true people sometimes "extra" point their feet out to get the rest of their legs to align better. And sometimes that's a desirable or even necessary compensation. Sometimes the problems it causes at the ankles and elsewhere outweighs the benefits higher up. Best, in my opinion, is to get the feet and leg shape and oreintation corrected so there's no need for these compensations. Regarding "femurs/knees and feet both point straight ahead", we clearly have a difference in opinion and a different way of arriving at that opinion. My approach is anthropological and historical; in my travels among non-industrial populations around the world (Burkina Faso, Brazil, Ecuador, Thaliand, India, Portugal, etc. ), I've observed that people almost always have their feet pointing outwards. This is also true for people in the US if you go back in time a little (see below). Are all these people are doing something wrong? Or is the modern feet / knees pointing forward theory flawed? Great photo! It says it all! Thanks again Esther. I can see I really need to get to the Foundations course. Thanks for your dedication and patience! If it's harmful to round the upper back as well as the lower back, what are your thoughts on the yoga position child's pose? From the list of "don'ts, this pose, which offers relief for my lower back, is not advised. Also in chair yoga we do a seated sun salutation that has us bending from the waist toward the floor. Again the upper back and lower back are rounded. Please comment. Rounding the back gently and evenly is okay for a normal back. If it feels good to you to round gently, there's probably no harm in it. If your discs are damaged, however, (and many people's are), the extra load it puts on any damaged spinal discs could be the straw that breaks the camel's back. If your back is very healthy, you may want to distort (round, sway, twist,...) to be expressive in dance, because it feels good, or for other reasons, but I wouldn't do much distortion because someone is telling you it's good for you. Especially rounding forward, as that is the most risky direction to load discs. One advantage to be gained by doing this move is a stretch in the long back muscles, but this can be gotten more safely by stretchsitting, stretchlying, using the inner corset, hanging from a bar, etc. Although Child's Pose doesn't distort a lot and won't do damage in most people, there's also the question of setting patterns. The same curvature in your back when gardening is very problematic. If you, like most urban dwellers, have a poor bending pattern for gardening, bending to tie your shoelaces, etc., why practice that problematic pattern in the time you dedicate to exercise and wellbeing? I recommend tweaking your poses to avoid rounding the back - upper and lower. Check out our video on modified child's pose for how I recommend doing that pose. This is my daughter Maya as a baby. It's interesting that children do Child's Pose with a straight back. Of course their proportions are very different, but the principle of maintaining a healthy spinal shape through various activities is something we can learn from children. This is a great question and one that many many people reading this have. Thanks for asking it. It is important to remember that rounding your back is NOT harmful and actually very healthy and beneficial. Chronic rounding, especially under load, can be harmful and cause injury and pain, but rounding in Child's Pose is a wonderful and healthy movement for your body...just as rotation is healthy, and extension (even hyperextension - full bridge anyone?) is healthy. The body is designed to flex, extend, rotation, twist, turn, squat, fall down, get back up again - and those movements are how we develop a healthy musculoskeletal system in our youth (ever watch children play?) and how we can maintain it our entire lives. When we stop doing those activities is when we develop stiffness, pain, injury, and chronic pain. Now if someone has a posterior lumbar disc herniation and they get increased pain with flexion, I would not recommend spine flexion for them...yet. If they do specific exercises to restore their normal joint alignment and function their herniation can heal and they can become pain free. Then they will be able to do spinal flexion and it becomes healthy for them again. As a dedicated Yoga practitioner for 30 years, a Yoga teacher, and a Gokhale Method teacher, I do know that rounding the back can be very damaging. 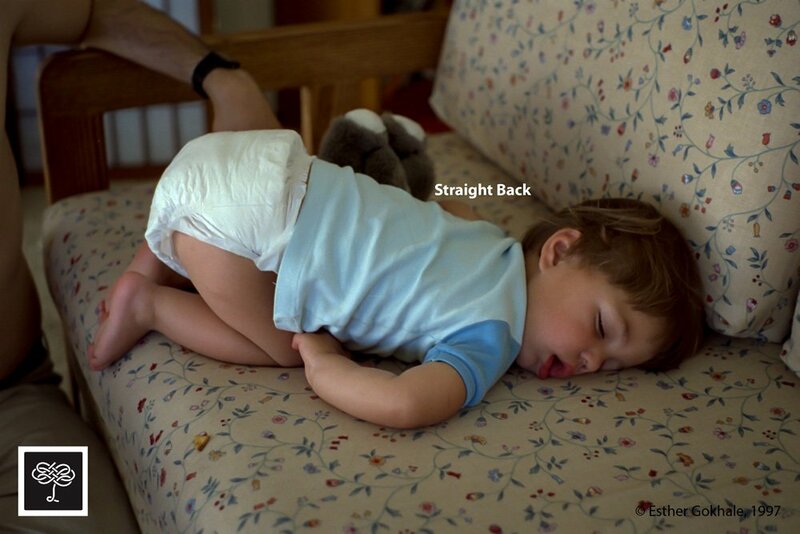 It is obvious that a healthy spine with perfect uncompressed discs has full range of motion, yes, like children. Yoga teachers teach what they are taught. I wish they all knew the Gokhale Method. The Gokhale Method works brilliantly with Yoga. I recommend it to everyone. Try it! Chiming in pictorially regarding turn out. Check the feet of these Acoma Pueblo runners! Wowza!!! I've always reported on a 5-15 degrees turnout. I'm going to take a measurement from this photo (best I can) and see the extent of turnout they have.